4y² - 8y + 3x - 2 = 0 represents a sideways, or horizontal, parabola. 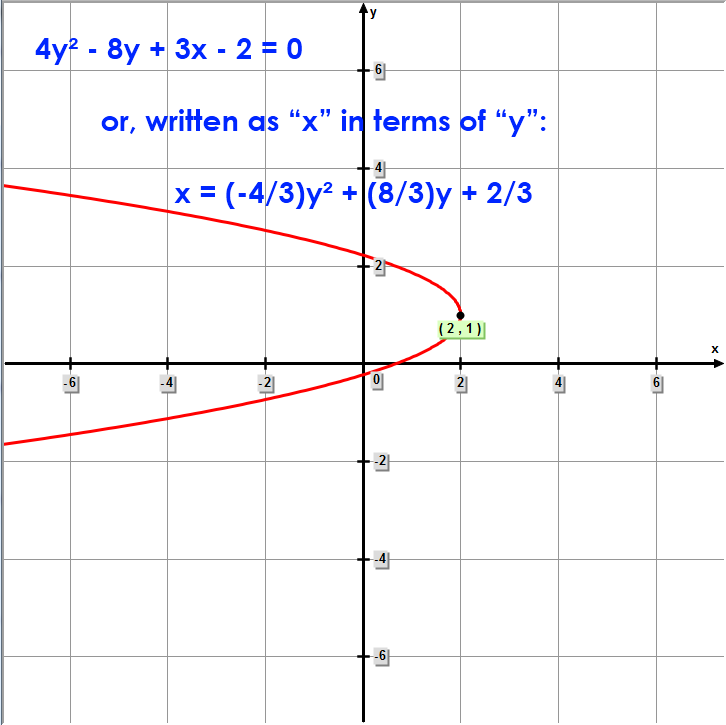 You can solve for the vertex of the parabola using the first term of the quadratic equation. Because this is a sideways parabola, the x and y variables must be reversed. To solve for p, enter in a point on the curve, such as (2/3, 0). Since p = -3/16, the focus is 3/16 units to the left of the vertex. Since p = -3/16, the directrix is 3/16 units to the right of the vertex.